There was a time when RV travel was something only for retirees, but those days are long gone. Families have discovered the economies of scale that come into play when you don't have to take six people into a restaurant three times a day. Larger families that need two hotel rooms each night have discovered RV travel and the beauty of visiting national parks. Clearly, there are pros and cons to getting behind the wheel of an RV. But many budget travel enthusiasts simply want an answer to the question "which way is cheaper, RVs or hotels?" For purposes of simplicity, the term "RV" here describes a variety of choices: motor coaches, trailers, pop-up campers, and fifth-wheels among them. There are a number of variables in the equation that answers this question. Fuel prices, for example, are never constant. Gas prices can be a burden or a bargain within the same calendar year. Another key issue: Should you buy or rent? It's often wise to rent an RV for a long weekend trip that doesn't take you too far from home. In late summer and fall, dealers sometimes offer time-limited deals. This allows you to try out an RV without spending as much money. Keep in mind that a new RV can cost as much as a small house. You might need to spend $100,000 or more to buy a new RV, so it only makes sense to try a rental for a few times before considering the added financial commitment of a lease or full ownership. As you compare costs between RV travel and hotel arrangements, keep in mind that costs vary widely, and circumstances can dictate with choice is the most cost-effective fairly quickly. If you have a small family but enjoy the RV lifestyle, you might not worry that your savings over hotel travel are little or nothing. A large family that wants to get away from the chores and simply ​enjoys the freedom of the road might choose hotel travel, even though it is the more expensive alternative for them. Your itinerary makes a difference, too. Large cities are not RV-friendly, while remote scenic wonders might not offer many decent hotel options. With each, you are buying a list of advantages and disadvantages. Consider how those fit into your preferences as you look at your budget. Key question: Will the benefits of renting or buying an RV be outweighed by the drawbacks that cut into your precious vacation time? Generally, the larger your family, the better your opportunity to save money with an RV. Savings also grow with the length of your trip. Notice that the savings on meals that you'd prepare yourself if you take an RV trip more than offsets the higher cost of fuel. (Diesel fuel could cost even more.) Some RVs, such as the Winnebago Via, offer a gas mileage of 15 MPG or more, so these figures obviously vary by model. So, you will save some money on meals in an RV, but if RV travel is to be a bargain, the big savings have to come from skipping expensive hotel rooms. Studies are all over the board on this important figure. Quality studies factor in a variety of other costs you might not think about right away, such as interest charges on the purchase of an RV or RV insurance. 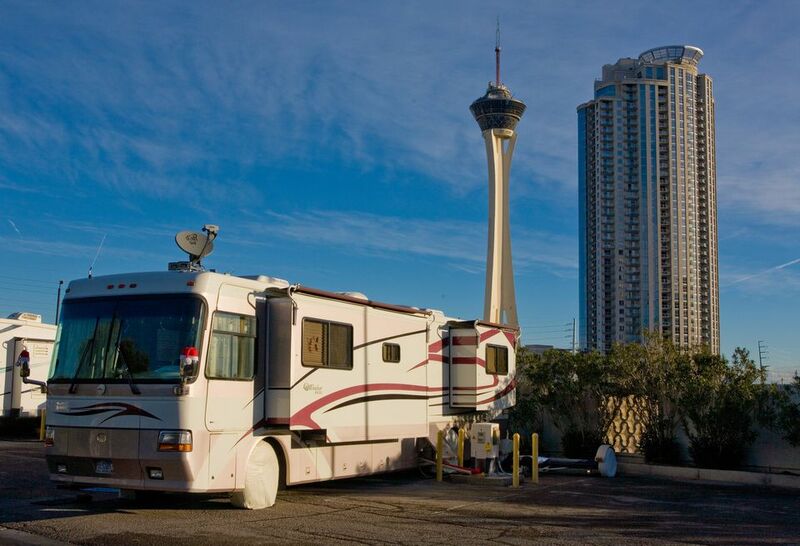 Generally, the savings of using an RV over hotels are significant. But some budget travelers expect the RV option to be far cheaper than it is, perhaps because they associate it with "roughing it." If you typically rent more than one hotel room for your family, your savings could be greater. But the family of four that can make do with one room per night might be at the lower end of the savings scale. Plus, it depends on if you usually book a high-end resort or a more modest chain hotel. Contrary to popular belief, parking an RV for the night is usually not free. People outside the RV world wrongly assume you can park anywhere you want for the night and pay nothing. That might happen occasionally (usually by prior arrangement) but most nights, there are camping fees to pay. The RV lifestyle offers wonderful moments that many people never experience: Nights around the campfire with fellow travelers, comparing notes about destinations past or to come, and awakening to the sounds of children playing on a sunny morning. There is no maid knocking on the door, intent on cleaning the room. Any money saved has to be weighed against work to be done, and there's a lot of it. Groceries must be purchased. Meals must be cooked. Sewage holding tanks must be emptied. In some cases, you might work harder on the road than you do around the house. Some people are willing to make the sacrifices and put in the work that leads to some nice benefits. But if you're not interested in such work during your limited vacation days, you should take careful note of this aspect of RV travel. In short, if you're the type of traveler who likes all-inclusive resorts, and eating in restaurants and staying in interesting hotels are highlights of a road trip for you, think long and hard about this option before making a serious commitment.